We regret that parking is not available at the department but priority spaces are available for those with disabilities. There is on-street parking available on the roads surrounding the department, including Fyfield Road, Norham Road, Crick Road, Norham Gardens and Bradmore Road. Please take great care to check the pay and display terminals for information when you park. Do not rely solely on the road signs with timings, as some are incorrect. 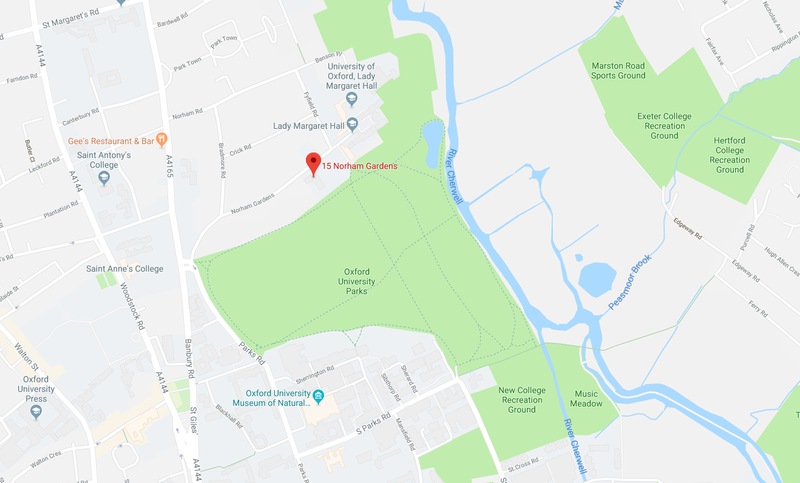 Our main department building is located at 15 Norham Gardens, with additional offices and teaching rooms at 28 – 30 Norham Gardens (The Bruner Building). Please report to the department’s main reception located at 15 Norham Gardens.